We cater for small private parties and dinner events. These can be held here at That's Amore or at a venue of your choice. Prices are per head and usually start at £15 per person however can vary depending on the menu chosen or on whether we will be demonstration or running a workshop for your guests. There is a minimum fee of £230 pounds. 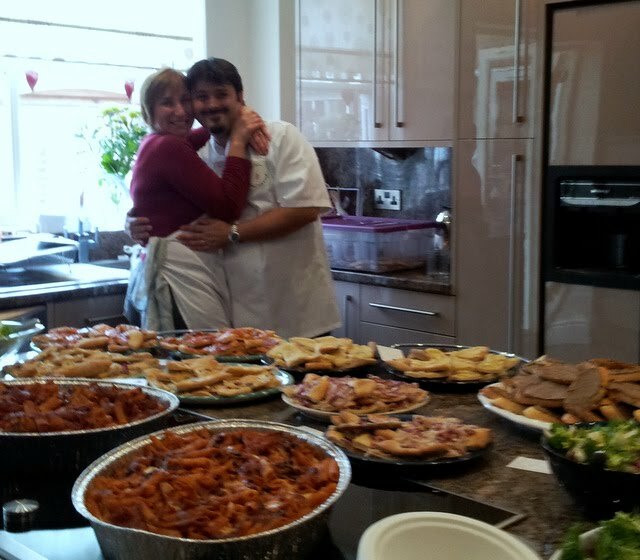 We have recently catered for a private birthday party. as well as for a small and select evening diner where we served at table. We are Flexible and friendly and our food is FAB! If you know you are going to be late home one evening , or you have a day out organized why not order one of our meals or picnics pick it up and enjoys a family meal which has been freshly prepared and uses local high quality ingredients. Choose from Stuffed Courgette, Red Peppers, Mushrooms, Aubergines. NB Sausages are made by us and are Gluten Free.